In 2009, Vineyard Networks CEO Jason Richards was operating his five-employee company out of his basement in Kelowna. His product, a next-generation deep packet inspection engine for analyzing and identifying traffic flowing across the Internet, was still in development. He joined the BCIC-New Ventures competition for the networking, exposure and prize money. Today the Top 10 finalist announced that it has entered into a definitive agreement to be acquired by Procera Networks for $28 Million. The total consideration for the acquisition is $28 million, comprised of $15.4 million in Procera common stock and $12.6 million in cash. The acquisition is subject to the satisfaction of certain closing conditions, and is expected to close on or before January 15, 2013. 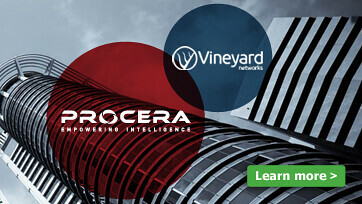 Founded in 2008, Vineyard Networks has been named as a 2011 Red Herring Global 100 Tech Startup Winner, recognized as one of BC’s Top 10 Places to work, chosen for the 2012 Ready to Rocket list, and selected as one of Canada’s 25 Most Innovative Companies. Last year's Regional Competiton Winners: Where are they now?